Brook Farm, located in West Roxbury, Massachusetts near the Charles River, was an experimental utopian community inspired in large part by the Transcendentalist movement. It operated from 1841 to 1847. A large cast of fascinating characters were involved, either as actual shareholders and residents or as frequent visitors, including George Ripley (the leading figure behind the community), Sophia Dana Ripley, Margaret Fuller, Nathaniel Hawthorne, Bronson Alcott, Elizabeth Peabody and Theodore Parker. One of the early participants, among the lesser known, was Ichabod Morton of Plymouth. As he is from my neck of the woods, I find it intriguing that Plymouth was well represented in the experiment. Although he was there only for a short time, he made a significant contribution to the community. And his daughter, Abby Morton Diaz, would remain there for years working to support the endeavor. Ichabod Morton was born in 1790 in Plymouth, a descendant of George Morton, one of the Pilgrim settlers who arrived in 1623 on the Ship Anne and the publisher of the famed Mourt’s Relation, an early history of Plymouth Colony. Ichabod Morton became a merchant, owned a general store in Plymouth, and operated (in partnership with his brother Edwin) a small fleet of vessels engaged in fishing and coastal trade. His house, an old gambrel roofed Cape, still stands a mile south of Town Square. 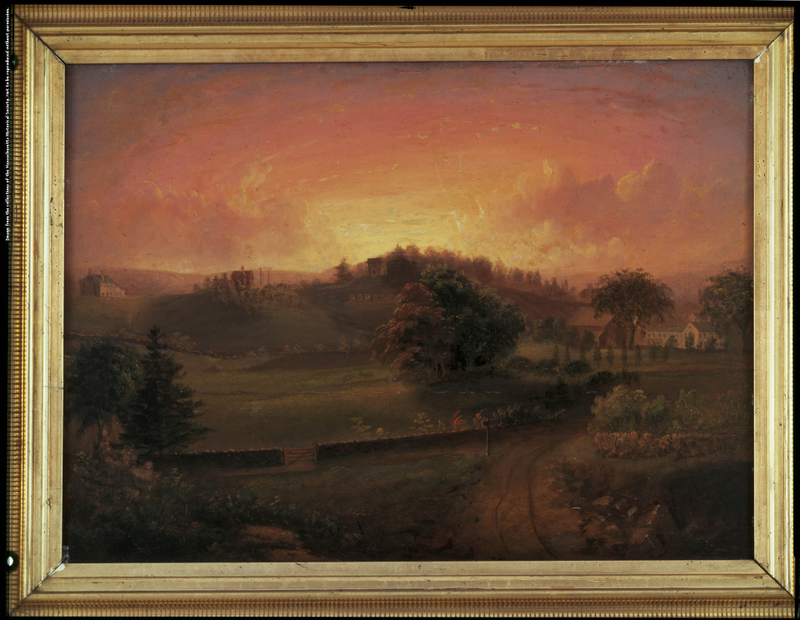 Morton was among the first in Plymouth to become inspired by the spirit of social reform sweeping New England in the 1820s and 1830s. He and his brother took up the cause of temperance and would not sell liquor from their general store. 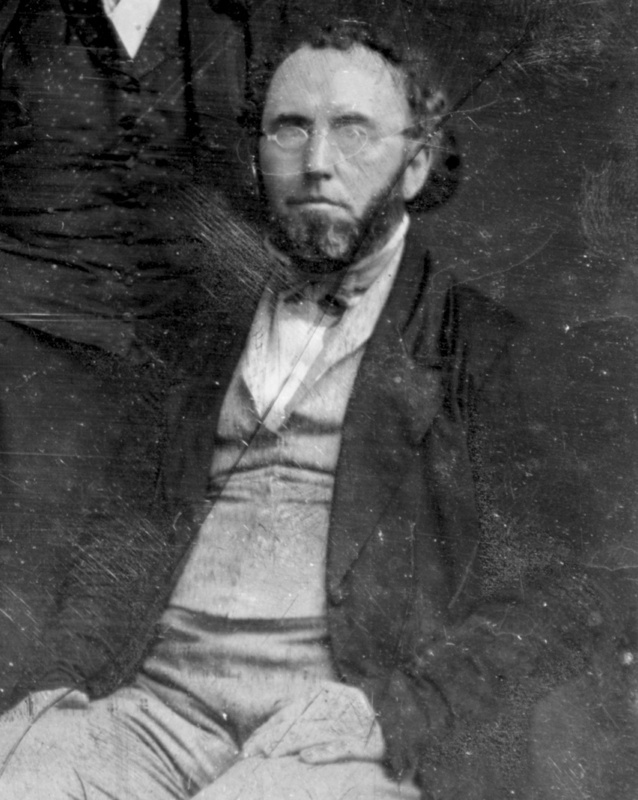 He became an early leader of antislavery in Plymouth, actively supported abolitionist meetings and sought to bring leading antislavery speakers to town. He was especially enthusiastic about educational reform, advocating for new schools in Plymouth and increased appropriations for education. He was among the first supporters of the Bridgewater Normal School, now Bridgewater State University. …Earnest in bearing, usually of serious aspect and much given to planning for the kingdom of heaven to come on earth, and to freeing people from the cruel old-time orthodoxy. In his meditative moods, or when he was singing the old hymns to the old tunes, his countenance often assumed a rapt expression, consequent upon a remarkable experience which befell him one night in his young manhood. When away from home on business, his room in Boston was supernaturally lighted and he was given a vision of the state of the world as it would be when conducted on the plan of human brotherhood; and he then and there promised the devotion of his whole life to the work of making this vision a reality. By the sound of it, if anyone in Plymouth were to be interested in the Brook Farm experiment, it would be Ichabod Morton. It is not clear how many members of Morton’s family actually occupied Pilgrim House or for how long. Ichabod Morton was there for a brief time in early 1843. Certainly his daughter Abby, who came as a teacher and eventually had charge of the Brook Farm Infant School, was there and possibly his sons. It seems his brother Edwin, despite his reformist views, never took much interest in Brook Farm and did not occupy his half of Pilgrim House as planned. Neither externally nor interiorly [sic] did it possess much attraction. Having originally been intended for two families, it had none of the quaint appearance of even a common country house. It was very much like two houses placed dos a dos instead of side by side, and was a very uncouth building, with many rooms in it which were useful for our increased numbers, but did not satisfy an eye for symmetrical proportions. Among them were two large parlors, joined by folding doors, which became our ballroom whenever we were inclined for a dance, and were occupied on all convivial occasions…The Pilgrim House was placed in a very barren spot, with no trees near it, and altogether the change was not pleasant to me. I had always lived at the Cottage, which was in itself a beautiful little home, and I had become attached to it. Of course I must yield my own personal comfort for what was thought to be advantageous for the good of the whole. However “uncouth” it may have been, Pilgrim House, given its size, was quite useful in providing housing for members of the association and for students of the Brook Farm School. The members removed the wall separating the two kitchens and created a single, large one which became the primary laundry facility. This work space, Russell conceded, “…was a very pleasant, cheerful place, at least inside, and we forgot its lonely exterior in the merriment with which we filled it.” The double parlor of Pilgrim House was used for many purposes in addition to the dances described by Russell. It was a place for discussions and lectures by prominent speakers. Pilgrim House also provided office space for the literary publication of Brook Farm, the Harbinger. After the collapse of Brook Farm in 1847, the property was eventually purchased by Gottlieb Burkhardt who established the Association of the Evangelical Lutheran Church for Works of Mercy. The organization operated an orphanage on the site from 1872 to 1943. The site is now owned by the Commonwealth of Massachusetts. In 1991, an extensive archaeological dig was conducted at Brook Farm led by Steven Pendery, then Boston’s city archaeologist. Many things might be said about the findings of this dig, but specifically with regard to Pilgrim House, Pendery speculated that the structure may have been moved during the orphanage days to serve as the main administrative building. What happened to it after that is unclear. Visiting the site of Brook Farm today is a strange experience. Two large cemeteries now border the location of Ripley’s utopian experiment. The ridge upon which most of the Brook Farm buildings stood, including Pilgrim House, is overgrown and rather forlorn. A narrow footpath winding through the brush allows one to walk the same ground as the Brook Farmers. Vaguely flat spaces suggest where the various buildings were. 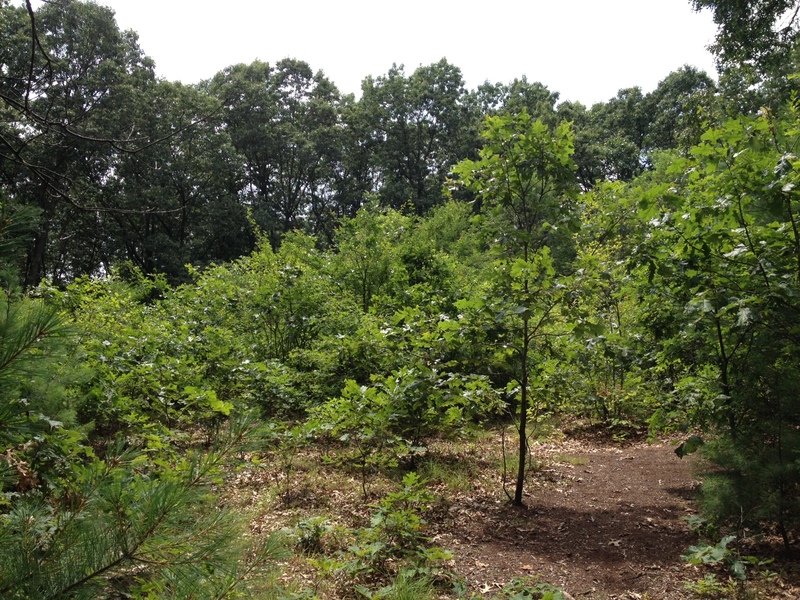 According to their brochure on Brook Farm, the Department of Conservation and Recreation, in coordination with the Boston Landmarks Commission and the West Roxbury Historical Society, is developing an interpretive plan and awaiting funding from the Commonwealth. I hope it comes soon. There is great potential to once again make the farm a beautiful space and to promote a cultural site of enormous importance. Amelia Eloise Russell, Home Life of the Brook Farm Association, (1900), pp. 57, 63. This entry was posted on Friday, August 22nd, 2014 at 2:14 pm	and tagged with Abby Diaz Morton, Brook Farm, George Ripley, Ichabod Morton, Trancendentalism, West Roxbury and posted in Transcendentalism. You can follow any responses to this entry through the RSS 2.0 feed. « Did the Vikings Beat the Pilgrims to Plymouth?